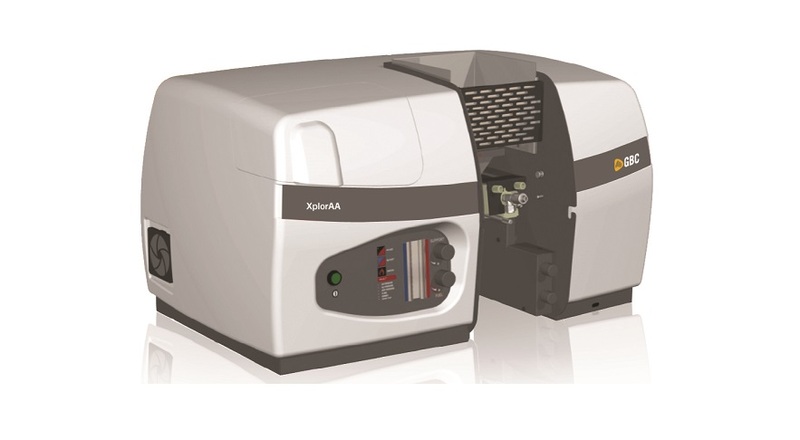 GBC XplorAA Dual Double Beam atomic absorption spectrometer with flame emission capability. Asymmetric modulation with 2:1 sample reference ratio for noise reduction. All-reflective optics for constant focus, quartz overcoating on mirrors. Comes with air-acetylene burner and software. 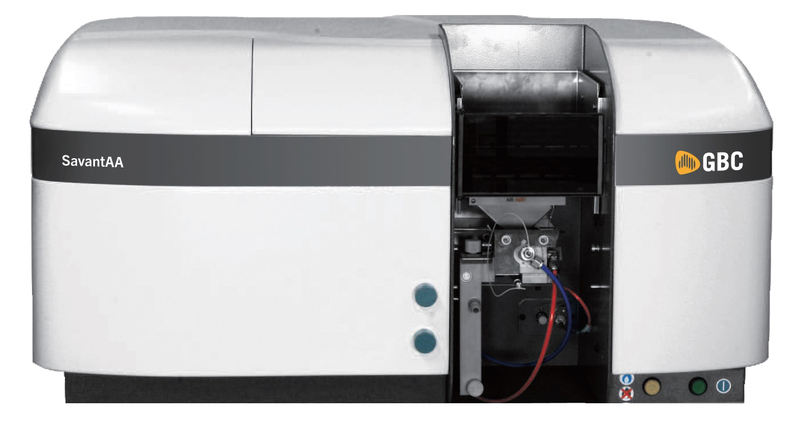 · Automatic wavelength and slit setting for fast and convenient analysis. · Data storage for applications, results, sample labels, weights and dilutions, report headings etc. · Storage of signal graphics for all samples. Zoom facility for efficient diagnostics and rapid method development. · Hyper-Pulse background correction ensures more accurate correction of fast background signals. Corrects to 2.5 Abs. · Software supports CFR 21 Part 11 compliance. The PC software package has been designed for ease of use and operates within Windows®, utilizing many of the enhanced features of this environment. · Calibration with up to ten standards. Uses exact fit curve correction, least squares, linear least squares, standard additions or bracketing standards. · Complete quality control protocols (GLP), including check samples, spike recoveries, calibration failure, QC limits. · Comprehensive report generation with the ability to use any printer supported by Windows®. Initiate your multi-element analysis with just ONE mouse click—Point, click, analyse. It's that simple! nt Control, Report Generation and Results modules can all be accessed from any part of the software. ntteed best sensitivity (5 ppm Cu gives >0.8 Abs) ndd best precision (5 ppm Cu gives <0.45% RSD) e:or changing in cooling water temperature. e:000C even for the most complex sample. m:d trap with liquid level interlock. cts to 2.5 total absorbance.